Box Office: Salman Khan-Katrina Kaif Starrer Tiger Zinda Hai Day 13 Business! Home BOLLYWOOD Box Office: Salman Khan-Katrina Kaif Starrer Tiger Zinda Hai Day 13 Business! Salman Khan, Katrina Kaif starrer Tiger Zinda Hai continues steady run at the Box office on its second Wednesday. Ali Abbas Zafar directorial Tiger Zinda Hai starring Salman Khan, Katrina Kaif is ruling Box Office since the day of its release. The collections of the film are unstoppable and with this, the film becomes one of the top performers of 2017. For cine-goers, the hysteria has not died down as many are going in for a repeat treat. In spite of many places being closed in Maharashtra due to protests, Tiger Zinda Hai continued its steady run. As per an early estimate, the film has raked another Rs 6 crore net approx on its second Wednesday at the Box Office. So far, the film has done Rs 285.60 crore net approx in 13 days at the Box Office. 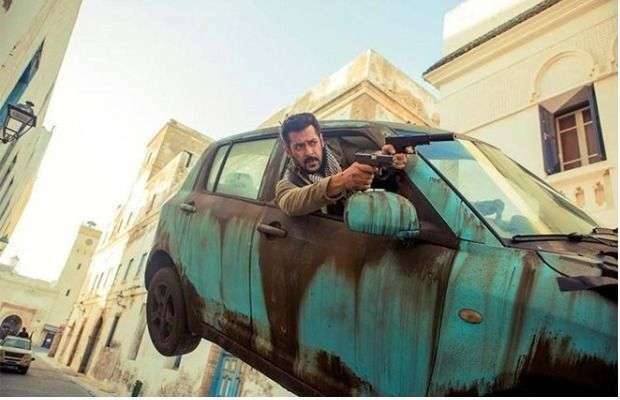 Tiger Zinda Hai is inching closer to Rs 300 crore and may even surpass the business of ‘Sultan’ and ‘Bajrangi Bhaijaan’ of Rs 301 crore and Rs 316 crore respectively. The film is a sequel to the blockbuster film ‘Ek Tha Tiger’ which released in 2012. Previous articleBigg Boss 11: Biggest Twist In This Week’s ELIMINATION, Shilpa, Luv, Vikas And Hina To Be Taken Out Of The House! Next articleChitrangda Singh’s Soorma Wraps Shoot Before The Allotted Time!